ACCESS partners with urban, values-based middle schools serving at-risk youth to offer an Academy program, which extends the school day and academic calendar year to provide structured opportunities for learning, enrichment, and growth. All middle school students attending our partner middle schools are enrolled in Academy enrichment programs that empower students to succeed in the rigorous academic environments of high school and college, and teach students how to be leaders in their communities. Thanks to the generosity of our donors, the ACCESS Academy program is offered at no-cost to students and schools. 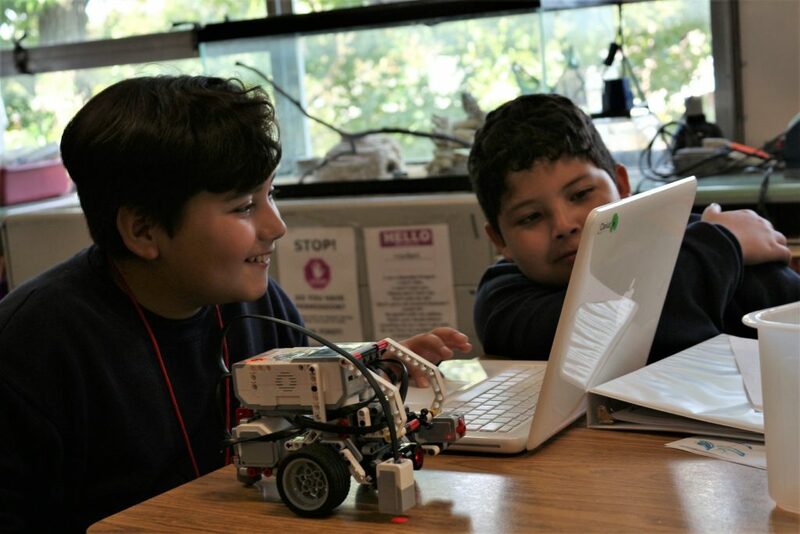 ACCESS students at St. Cecilia School & Academy work together in small groups to build and program their robots for the upcoming Clavius Project Jamboree at St. Louis University High School.